Substance and Ospreys in the Community will shortly celebrate their first anniversary. So, what better time to take a look back on the year and highlight the impact the Views platform has made to the organisation. An offshoot of the famous Ospreys Rugby Union Club, Ospreys in the community was launched in 2015 with the mission to use the power of sport and the Ospreys brand to motivate people across the Neath and Swansea regions to make positive life choices regardless of age, ability or gender. 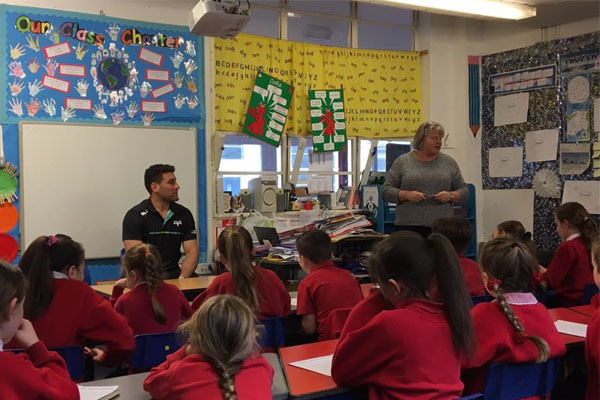 Through a variety of sports, social and classroom-based activities, Ospreys in the Community organises its work streams into four key strategic themes; Health, Education, Inclusion and Sport. These themes have created a foundation from which the organisation looks to build a stronger, safer and smarter community. However, their ability to understand their target community was limited by their data collection and reporting processes. Paul Whapham, Foundation Manager at Ospreys in the Community suggested their previous use of spreadsheet-based reporting and the lack of a centralised system resulted in significant under-reporting and often led the organisation to operate on a ‘best guess’ rather than informed insight. Not to mention the time and overheads required to analyse disjointed material. So, what does this mean to the communities across Neath and Swansea? Well, Paul believes the ability use the data to understand these communities has allowed Ospreys in the Community to design and reshape their programmes to meet the needs of the people with speed and efficacy. Whilst the savings made ‘streamlining processes’ has meant that more delivers can get out into the community rather than sitting in front of screens entering data. Overall, this has meant not only better programmes but also programming with greater frequency and volume. This impact is exemplified by the 526 sessions and Events conducted this year alone, equating to over 1300 hours of delivery time. What’s more, the increase in the number of coaches and project staff not weighed down by the data collect and analysis has drastically improved the organisations reach, having produced both sessions and events in 116 venues across the region. Since integrating the Views platform into their operational processes, the organisation has almost doubled their goal to engage with 20,000 people per year, reaching a total of 38,842 individuals; including over 9000 children through their school programmes. Here at Substance, we understand that every organisation that does good, on a national or local scale is unique. Therefore, we create all our products and services with adaptability in mind. Our ability to develop a Views system for Ospreys in the Community has allowed the organisation to get the most out of the platform and therefore created the biggest impact to those they serve. Would you like to know more about Views or other services at Substance? Please visit substance.net or email info@substance.net for more information. We look forward to hearing from you!